James A. Wall teaches within the Electronic Media Marketing and Management sequence. Prior to becoming a full-time educator, Jim worked in the commercial broadcast industry for over twenty years in sales and marketing. He earned both a B.S. in Radio-Television and an M.A. in Media Management from SIUC. In addition to receiving the Radio-Television Department award for Outstanding Service to the Department in 2003 and Term Professor of the Year from the College of Mass Communications and Media Arts in 2004, he has authored numerous award winning articles and has presented at several major academic and professional conferences. 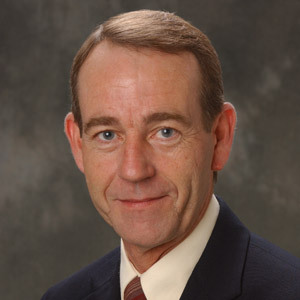 Jim received a fellowship from Lin TV Corporation and Chief Executive Officer, RT alumnus Gary Chapman, to attend the National Association of Broadcasters Educational Foundation Broadcast Leadership Training program in 2004-2005. He also was awarded a fellowship from the International Radio and Television Society to attend their Faculty-Industry Development Seminar in 2005. Professor Wall is active in the Illinois Broadcasters Association and is a member of the IBA Academics Committee. He currently serves as a Commissioner on the Carbondale Information and Telecommunication Commission and is Vice-President of the Board of Directors of WDBX Community Radio. A twenty-plus year resident of Carbondale, Jim is also an accomplished musician and a private pilot.